In the Promised Land, book 3 of the Egypt trilogy went on a virtual tour with RABT tours over the last two weeks. The book was featured on a number of websites, and two readers posted reviews. 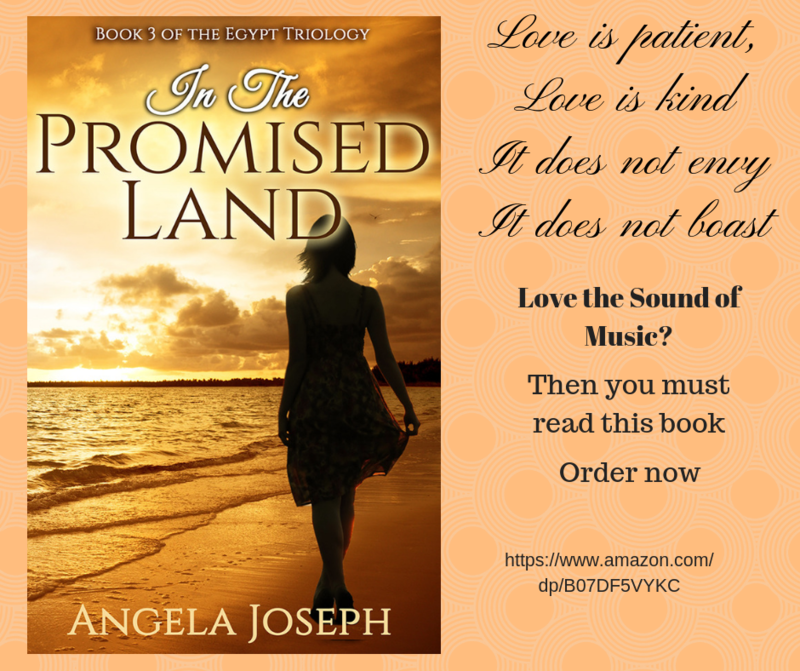 This is a third in a series and I have thoroughly enjoyed getting to know each and every one of the characters Angela Joseph brought to the books. Joseph’s novels will have readers captivated by her characters. The characters are real and very well developed, they make it easy for you as the reader to be drawn into. This is not just true for this installment, it’s the same for all of her writings. There was something wonderful about how simple it was. I didn’t have to overthink things. There was plenty of comic relief in it to lighten any of the deeper moments. After reading those reviews, I suppose you won’t need any further encouragement to see if what those reviewers said is true. You can purchase a copy now at the discounted price of $1.99 or read it for free on Kindle Unlimited.